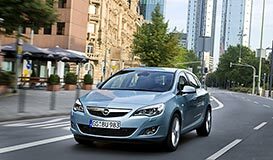 Morphis car rental in Glyfada offers new technology cars with diesel engines or gas or gasoline for modern economic movements in the economy and simultaneously less environmental pollution. Morphis car rental in Glyfada offers special offers and free delivery collection of the rental car in any place in Glyfada or Ano Glyfada . Book on line your rental car in Glyfada or Ano Glyfada and get special discounts and promotional rates . For cheap car rental in Glyfada call Morphis rent a car and ask for the best available rates . Morphis minivan rental in Glyfada offers special prices and brand new 9 seats diesel minivans for rental in Glyfada. Book online your minivan rental in Glyfada and get special prices and free delivery collection at your place. Morphis rent a car offers a great variety of brand new 4x4 SUV for rental in Glyfada and Ano Glyfada. The suburb of Glyfada is seasonal and commercial hub. Glyfada and the coastal region of southern Attica will find many hotels of all categories from cheap economy to luxury hotels that offers all the comforts of staff until tourism conference tourism. Glyfada is a vibrant city with many cafes, taverns, restaurants and nightclubs especially during the summer months, the fun is unstoppable. Large shopping centers but also a modern market will allow you to visit and buy whatever you wish from local Greek products up to the more expensive brands worldwide. 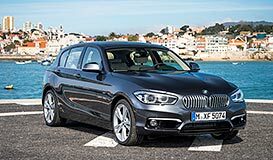 Rent a car in Glyfada with free delivery and pickup. Morphis rent a car provides free delivery collection services at the following hotels in Glyfada.